Would you like to study a full degree programme at VIA University College? 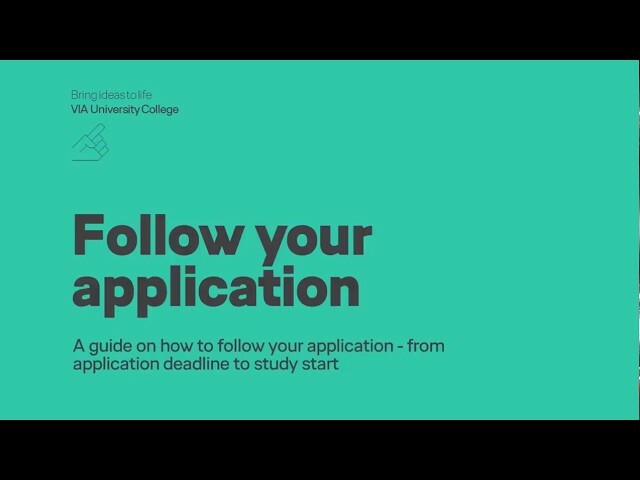 Here is what you need to know about application and enrolment. The evaluation of your application will be based on your exam results, business experience and so on. You can find information about the rules of admission based on exam results from foreign institutions on the website of the Danish Ministry of Higher Education and Science. If you are unsure as to whether your qualification would be considered equal to a Danish high school exam, you can find help on the ministry’s website or you can have your qualification evaluated by the ministry before you apply. Get an overview of deadlines and important dates. You can fill in and send your application on the online admission portal optagelse.dk from 1 February – 15 March at 12.00 noon. Also you must upload your documents at optagelse.dk when applying, including a copy of your original exam certificate and a transcript of records plus a state authorised translation of your transcript of records in either Danish or English. If you do not upload a translation, your application may be refused. 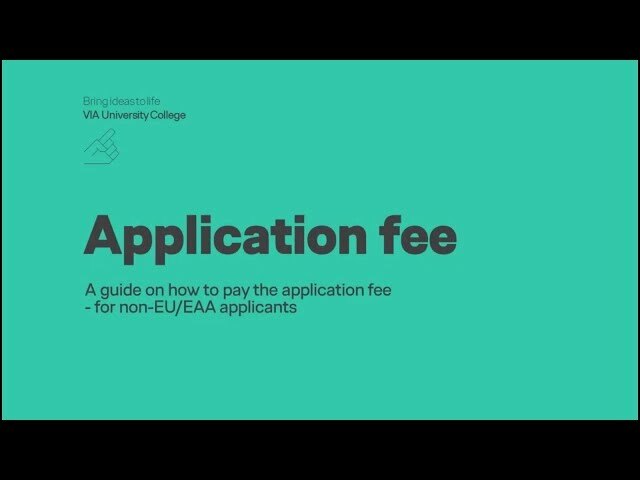 Deadline for payment of tuition fee from non-EU citizens. We will evaluate the attachments that you have uploaded on time. We will only remind you about documentation of the basic admission requirements. We will not remind you about any other documentation that may be missing. From 28 July until approximately 1 February, you can apply for the available study places (for study start in both August/September and in February). 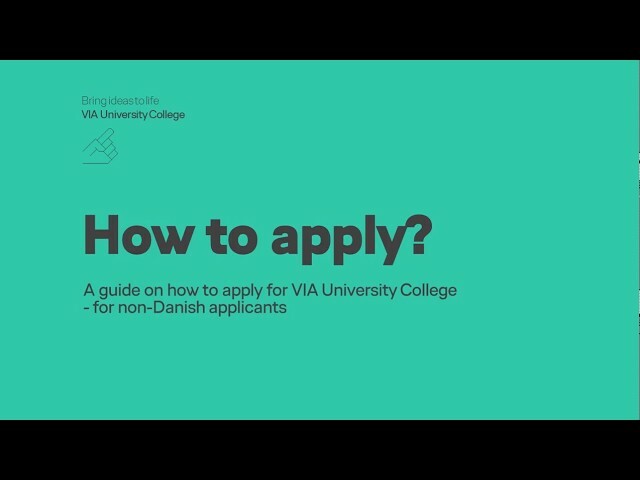 Learn how to apply for a full degree programme without a Danish Civil registration number. International applicants access optagelse.dk by entering their e-mail address and receiving direct links to optagelse.dk Please make sure to use your primary e-mail address for the application. It will be used for notifications throughout the entire admission period. It is your responsibility to make sure that the application is filled out correctly, and that all the necessary additional documents are uploaded. VIA University College must have received the signature page(s) before 15 March 12:00, Signature pages cannot be uploaded as an attachment on optagelse.dk However, applicants can sign the page, scan it and e-mail it to VIA at: studieplads@via.dk Send one e-mail per signature page/programme. In the subject field of the e-mail, please indicate which programme the e-mail concerns. You will also receive messages regarding your application from VIA through the Admissions Portal Furthermore, you can contact us with questions and comments regarding the processing of your applications for admission to VIA. You will receive a notification through the e-mail address that you used when you applied for admission. It is your responsibility as an applicant to keep yourself orientated through the Admissions Portal in order to deal with all messages which VIA sends you through the portal. Learn how to apply for a full degree programme with a Danish Civil registration number. On optagelse.dk you will find complete instructions on how to fill out the application form, upload attachments, etc. You can also check to ensure that your application and attachments are correctly uploaded. If you log on to optagelse.dk, you can see an overview of your applications and related attachments. It is your responsibility as an applicant to keep yourself orientated through the Admissions Portal and to deal with all messages which VIA sends you through the portal.